At Madison Laser Tattoo Removal, we make it a priority to use only the best, most advanced, innovative laser technology available to provide the absolute greatest experience for our patients. That is why we’ve invested in the industry-leading Astanza Trinity Laser. 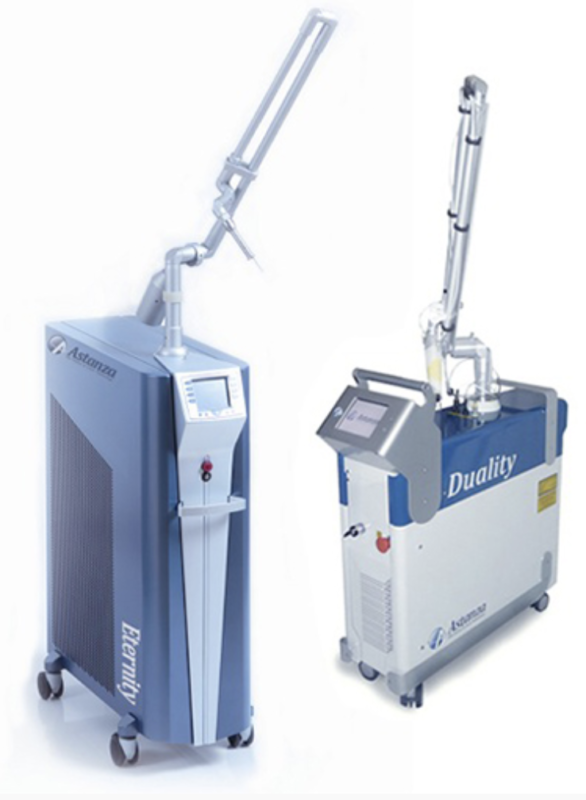 The Astanza Trinity Laser System combines the power of two lasers, the Duality and the Eternity, to give practitioners exceptional tools for treating unwanted tattoos. 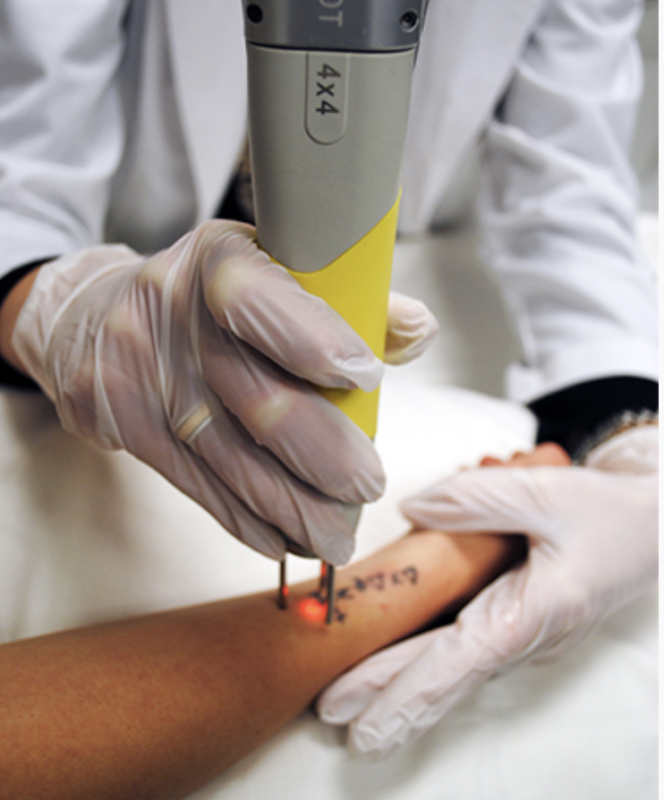 Traditional lasers are unable to effectively remove multicolored tattoos, especially bright blue and vibrant green inks. However, our Trinity’s ruby wavelength is the perfect solution for tackling those resistant inks, allowing for complete removal of the most colorful tattoos. With an ultra-short pulse duration of just 6000 picoseconds matched with high pulse energy, our Trinity is able to shatter ink better and faster than ever before. Our laser includes TruePower design that provides the strongest output energy and unparalleled levels of power for successful ink removal. Our cutting-edge Trinity combines the powers of a Q-switched Nd:YAG and ruby laser, emitting light energy in three wavelengths: 1064 nm, 532 nm, and 694 nm. These versatile wavelengths are ideal for treating and removing the widest range of ink colors and are safe to use on all skin types. Our Trinity is also equipped with a square and oval spot beam that allow for safer energy application, precise ink targeting, and less overlap of laser pulses–this means fewer risks of pigment changes, especially for darker skin tones! Our Astanza Trinity laser produces the best and fastest results, guaranteeing effective tattoo removal and fewer overall treatments for you! It is used by the top medical practices in the tattoo removal industry and is now providing state-of-the-art procedures to all of Madison and southern Wisconsin.